Today I want to share a trick for decorating small spaces. One of my main goals as a designer is to make spaces that not only look good, but truly function for the inhabitants. 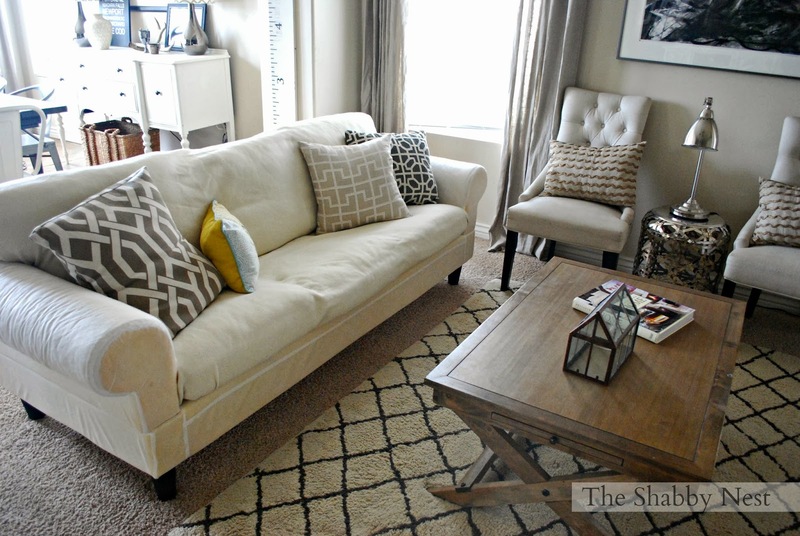 And one common challenge that many people face is making small spaces feel larger. Forgive the fact that my sofas are missing their slipcovers...and wearing blankets instead. Lol! The sofa with the legs seems lighter and airier. It makes the space around it seem larger. 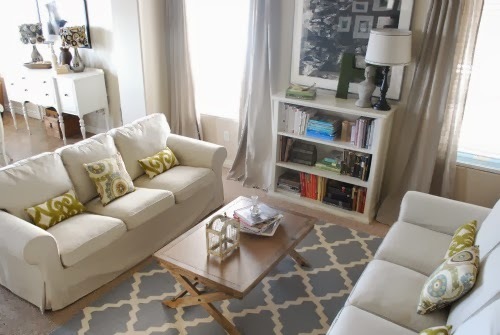 The other sofa seems large and heavy in comparison and dominates the space more, making it seem smaller. I just couldn't get over the difference. And now I'm wishing I had a budget to buy new sofas with legs. Lol! After those slipcovers come back...I'll show you my fall-I-fied living room. I can't wait! Great observation and so true! love the more "leggy"... I have no idea about the idea sofas but I hope you find them! Can't wait to see your fall room! Check with Bemz and see if they can leave the skirt off. 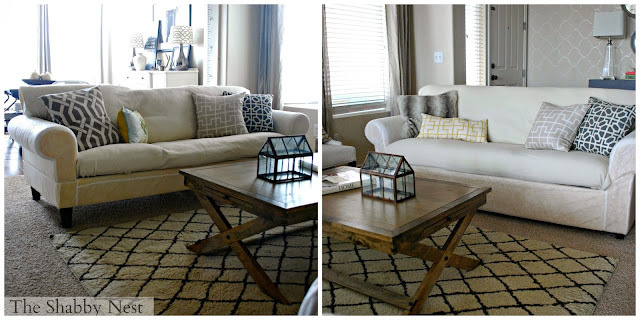 You could always shorten the skirt on the slipcovers you have. They'd be more of a ruffle than and you could see the legs. Just a thought. Hello! I just took y covers off and realized the same thing! Did you ever find a cover without the dust skirt?? I can't seem to find any online.